own 40'' X 50'' chenille custom chunky blanket! all guests will leave with their blanket complete! We will have soft drinks and snacks available for purchase. There will be no refunds. 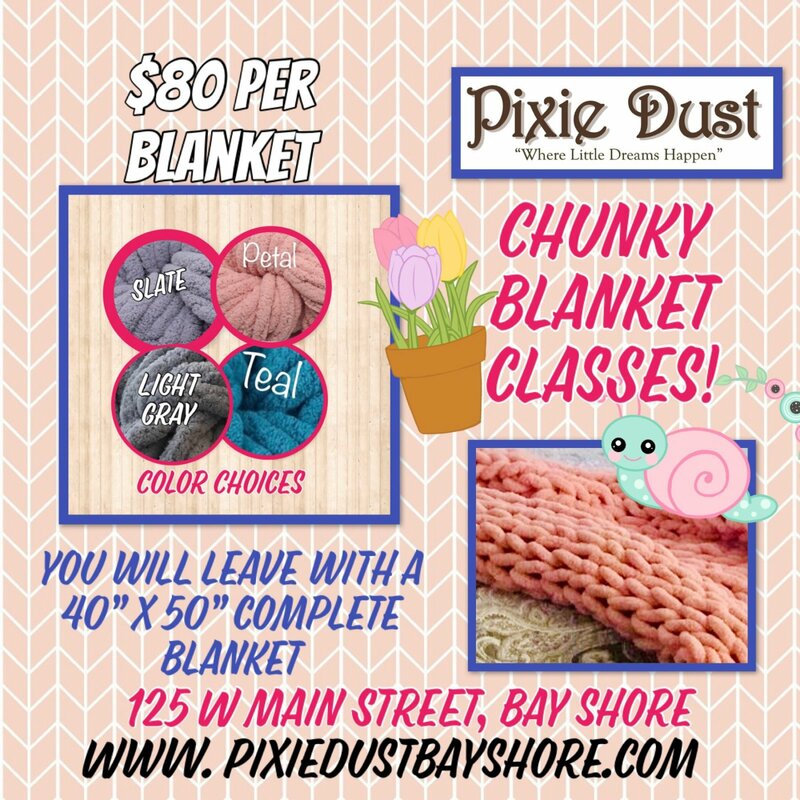 In the event that you are registered and unable to attend, we will gladly put you into a future Chunky Blanket Class being taught if we are notified at least 24 hours in advance. You may sell/gift your ticket to someone else as well.